Did you know typically over 1000 people open this newsletter? #1. 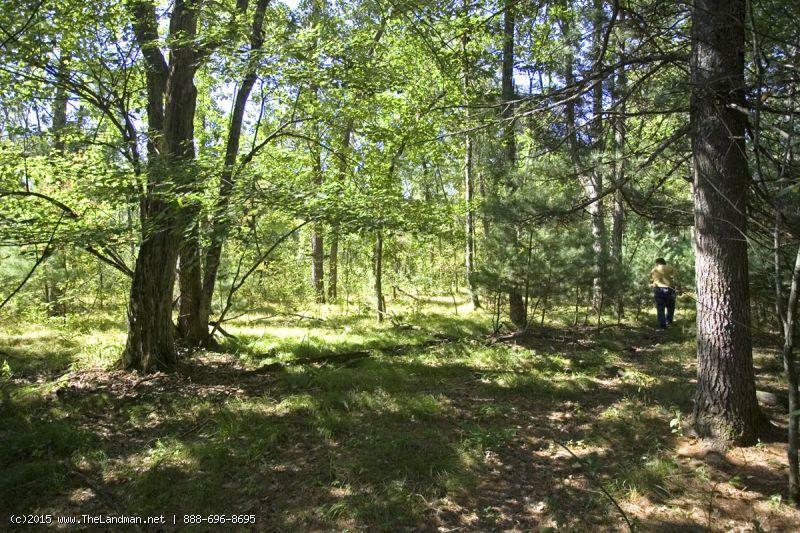 Home on 39+ Acres This fully wooded property is mixed with white pine, oaks & red pine. It is located just a few minutes from Adams-Friendship Public Schools, Hospital, Public Beach, Parks, Roche-A-Cri State Park & more! 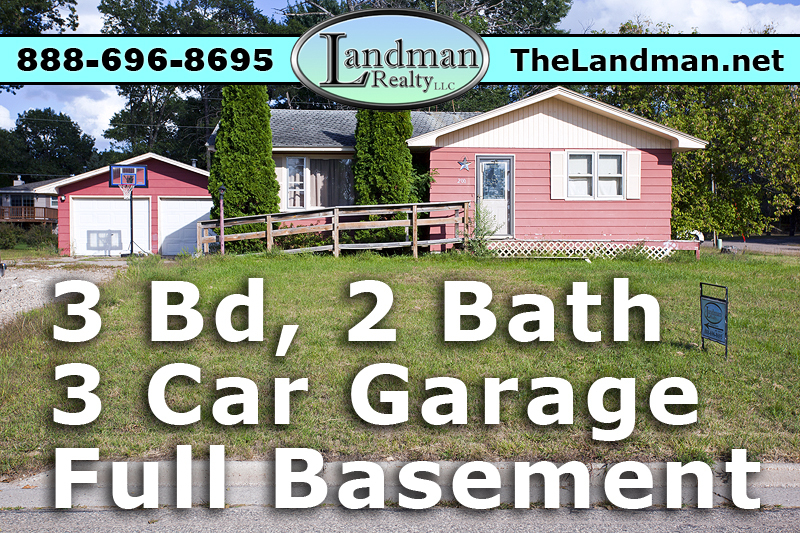 Great Full Time or Vacation Home with new roof & furnace in 2014. Lots of wild turkeys and Whitetail Deer call this their home! Make this your base camp for fun & adventure! Priced to sell... $139,900. Quiet & peaceful wooded setting that is close to the Tri-Lakes but without all the restrictions of that area! Lots of public land in this neighborhood & Lake Petenwell is also nearby! Fish, swim, boat, ski or sail within minutes of here. Gorgeous building site for your home or cabin. The Pole Barn is already here so you can store your boat, trailer, ATVs & more! Many oversized doors on this building to fit your big toys! There is a well on the land and the electric that already services the property is near the road. $43,000. Area Information Cities, Towns, Villages, Township, Lakes, Public Land, Developments & more... - Landman Realty LLC is breaking new ground again by adding lots of area information to our website including; maps, photos & descriptions. These pages kind of give you a "snap shot" of the area, the types of real estate available, prices & market saturation for the given area just by looking at the thumbnails! This is all part of our extended descriptions project... NO ONE Markets like TheLandman! This very beautiful & secluded wooded acreage with large pine and oaks will be beckoning to you! Relax and enjoy the sights and sounds of nature! This is almost 42 acres with excellent habitat for the abundant whitetail deer, wild turkeys and other critters that you will share this forest with! Camping is allowed here. $110,000. Excellent get-away log cabin in a wooded lake-side community offers deeded lake access through an outlot to a waterski lake. Secure your place for summertime fun! Use for a vacation place or a full time home! Nice log home with many updates offers fireplace, central air and front & back wooden decks! $149,900. Featured Wisconsin Real Estate Development: Timber Shores - Here you will find maps, photos, documents, real estate, a general description of the development and the area as well. Waterfront Lot $279,900 & Deeded Lake Access Lot $19,900. PRICE REDUCED FOR QUICK SALE! Great country home for those on a budget! Lots of recent updates on this newly remodeled home situated in a recreational area of Central Wisconsin. Lots of wildlife live nearby too! Located close to the Tri-Lakes and a short drive to Lake Petenwell. Close to golf course, ATV routes, snowmobile trails & public land providing fun for all seasons. WAS - $59,900. NOW - $49,900. Awesome private location just minutes from boat launch at Castle Rock & Lake Petenwell! Bring your boat or jet skis for a summer of fishing or water sports fun! 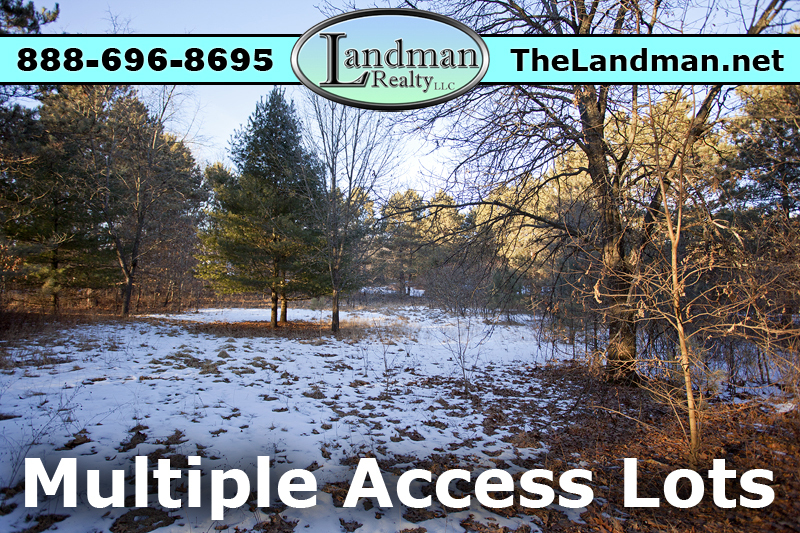 This land is directly on the ATV Route & snowmobile trail! 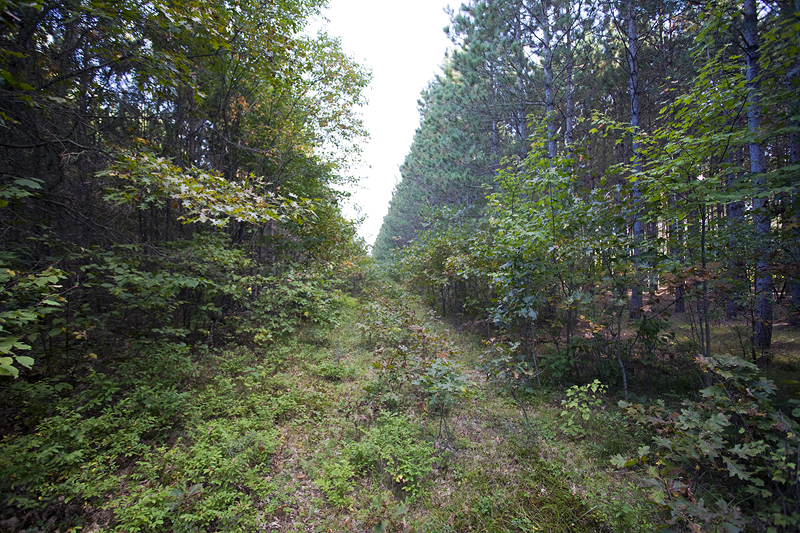 Beautifully wooded 5 acre parcel is ready to camp or build on! Local wildlife roam this forest in abundance! 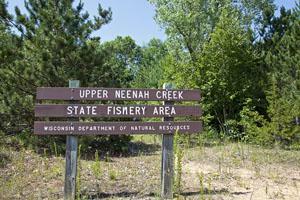 Northern Bay golf course & public land for hiking & hunting are all nearby! Also close by are miles & miles of horseback riding trails and a horse campground too! Located minutes from BOTH Lake Petenwell & Castle Rock Lake on the ADAMS COUNTY SIDE of the lakes! $27,900. 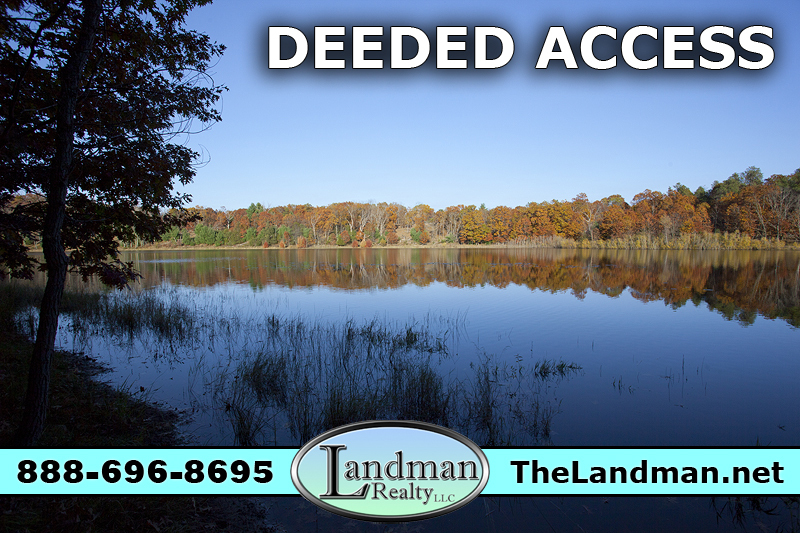 Great location for all the outdoor recreation available in Adams County! Close to everything! Lake Petenwell is Wisconsin's 2nd largest inland lake and is just a few minutes away! The property is directly on the ATV routes & snowmobile trails and public land is nearby! Lots of bang for your buck! There is a Porta Potty and a 20' shipping container for storage. The price includes a 40' camper but may be purchased without. Also features a dusk-to-dawn light and an electrical hookup for 3 campers! $29,999. 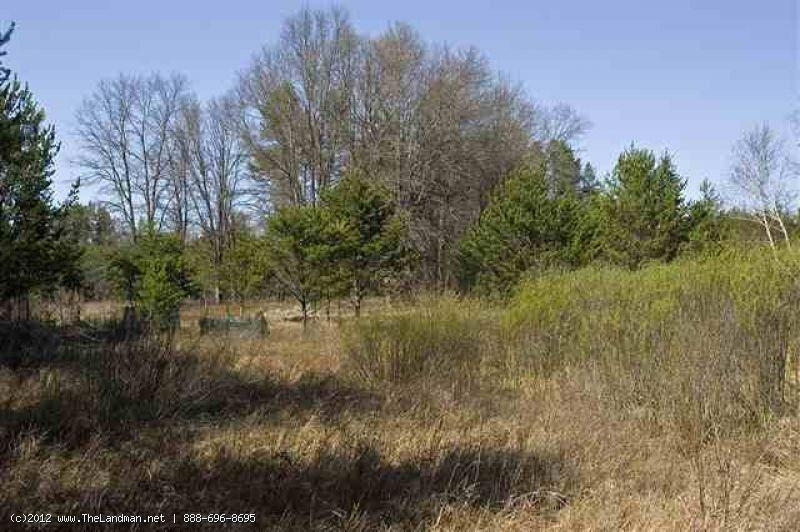 164' of creek frontage on this wooded parcel that is just under 2 acres, in the heart of Central Wisconsin. Abundant wildlife here ! This property is just down the road from Colburn Wildlife Area. Explore the local public land! 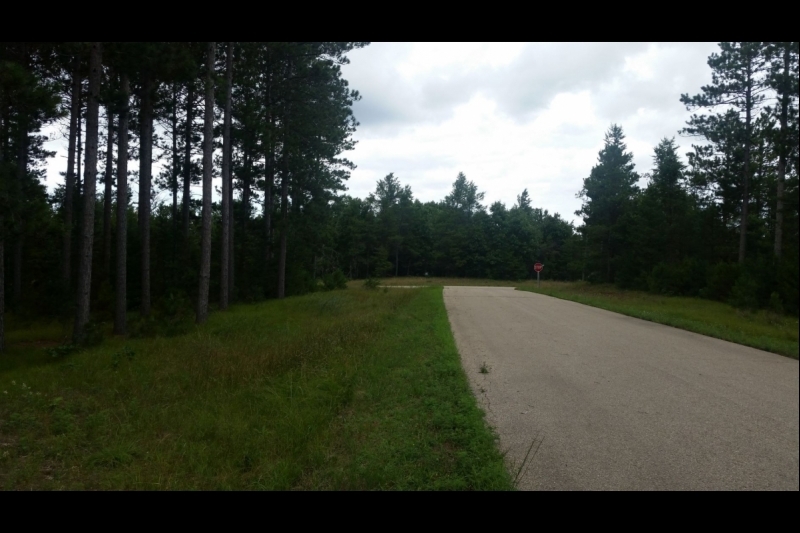 This parcel is within minutes of the Tri-Lakes and Lake Petenwell for lots of water fun! Make this your get-away camping or cabin-site! Seller may finance. Call now for more details on this wildlife haven! Cell:608-474-2110 $14,500. RARE Waterfront like this is very hard to find! Enjoy your own private 80' frontage on this land located right on Castle Rock Lake! This is the 4th largest body of water in Wisconsin! Bring your plans for the ultimate in water-sports activities! You can go sailing, boating, water-skiing, fishing, swimming, jet-skiing & enjoy awesome sunsets on this lake. Possible owner financing! $124,900.